Active learning is a model of educational instruction that allows learners to be responsible for developing problem solving skills. Technology can enhance active learning strategies by fully engaging students in the learning process. While this type of active learning allows learners to work at their own pace in order to understand the material presented, they can also apply it to the activity at hand to assess their baseline understanding. 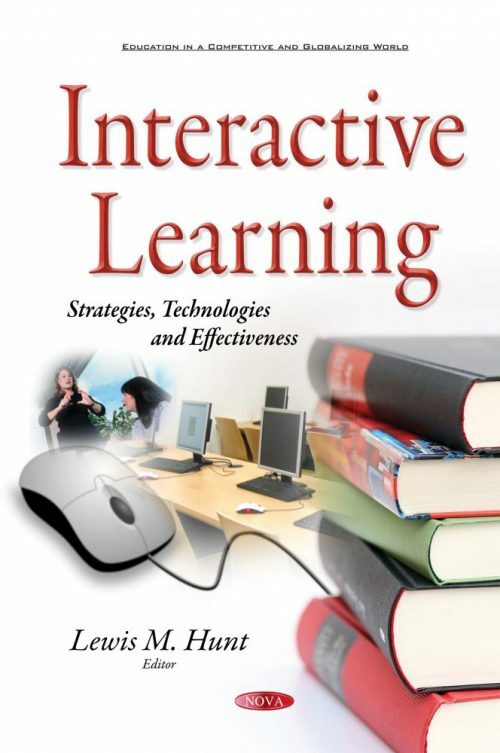 Most of what we need to know about interactivity in an e-learning environment can be derived from careful consideration of how a student and a teacher interact in a face-face setting. The first chapter presents a review of interactivity in the online medium with a focus on the student point of view. Chapter two presents situated learning episodes with a focus on natural hazards that may strongly affect lives of many people around the world while being highly underestimated by formal education. Chapter three describes the development and implementation of simulation software activities to facilitate learning in a doctor of pharmacy program critical care pharmacotherapy elective course. Chapter four examines technology and learning processing in childhood. The final chapter proposes a learning strategy—peer assessment by questions and answers—to enhance the effectiveness of interactive learning in the flipped classroom.